Recently I had a question from someone who was knitting one of my shawl patterns. She wanted to check the technique for the slipped stitch edges. I`m a loose knitter which can lead to sloppy looking edge stitches, mine have improved over the many years I`ve been knitting. Newer knitters can also struggle with loose edge stitches. 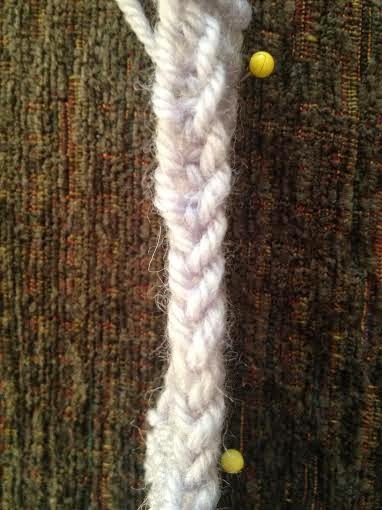 The technique I use for slipping edge stitches creates a firm edge which looks like a crochet chain with a twist at the bottom of each chain stitch. I only use this technique on edges which will be exposed, not on those which will be seamed into a garment. I have also come across knitters who make beautiful edges in garter stitch, they probably wouldn't bother with this edging. I create this edge by slipping the first stitch of every row purlwise and then moving the working yarn between the first and second stitch, then I knit the following stitches. On shawl borders I usually do a three stitch border, slipping the first stitch then I knit the next two stitches followed by my pattern stitch. At the end of the row I knit three stitches. Some knitters don't like the twist at the bottom of the chain stitch. 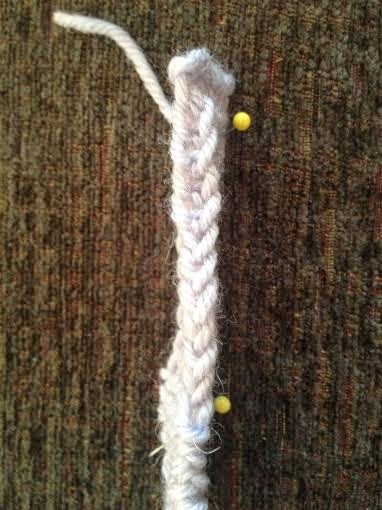 If you want to eliminate it, add the extra step of ending every row by working into the back leg of the stitch. In my case that version creates a wider chain which stands out from the front plane of the knitting ever so slightly. The stitch also has a wider opening than the twisted version. I've noticed that results vary between knitters and with the same knitter when they move from one yarn to another or between needle materials. I've included photos of my class sample. The best way for you to determine which version you prefer is to cast on six stitches. 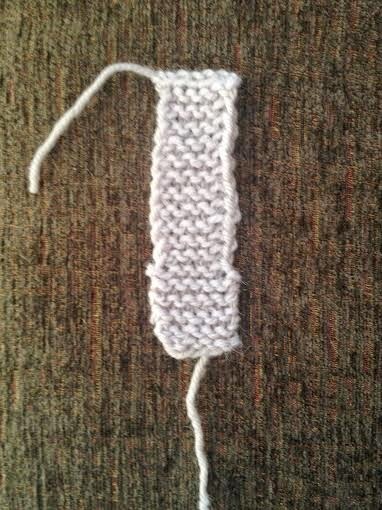 Knit 10 rows with no edge stitch, then knit 10 rows, slipping the first stitch of every row purl wise. 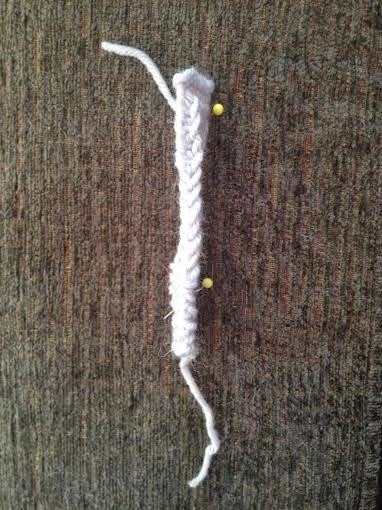 End by knitting 10 rows, slipping the first stitch of every row purl wise and ending every row by working into the back leg of the stitch. If you enjoy reading my blog, I'd really appreciate it if you would tell your knitting friends or share links to your favourite posts online with Twitter, Ravelry or Facebook. Word of mouth is really helping to grow my business as knitters respect the views of other members of our community. Thanks! I prefer the look of the twisted version, but I find that when I use it on a garment (say a baby jacket), the edges will not be paralell. One will lean to the wrong side, and the other to the right side of the garment, caused by the direction of the twist. So I tend to favour the open chain version. And the chained edge of stocking stitch fabric is the same as the open chain, so if a garment use both garter and stocking stitch, the open chain version maintain unity on the garment edges. Usually I find it worthwhile to just tighten up the edge stitches a bit, then the open chain looks more than acceptable. There's how Many Stitches in a Shawl? An Interview with ... Dana Dodge of Got Yarn? How does colour impact your buying behaviour?